Flor De Oliva (or simply put Oliva Bundles) are all Premium, Long-Filler "firsts", not "seconds". 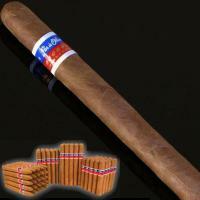 That means that these cigars are not throw-outs or knock-offs, and they are handmade by the Oliva Family. – Original line uses an Indonesian wrapper and has a medium-bodied strength. – Gold line uses a Connecticut-seed wrapper and is quite mild.